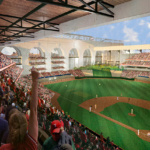 Dallas-based architecture firm HKS has been chosen to design a new ballpark for the Texas Rangers baseball team in Arlington, Texas. 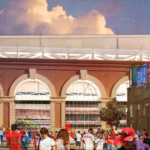 The stadium will be constructed as a public-private partnership between the team and the City of Arlington: It will serve as the Rangers’ home field and as a multipurpose arena for high school, college, and international sports. 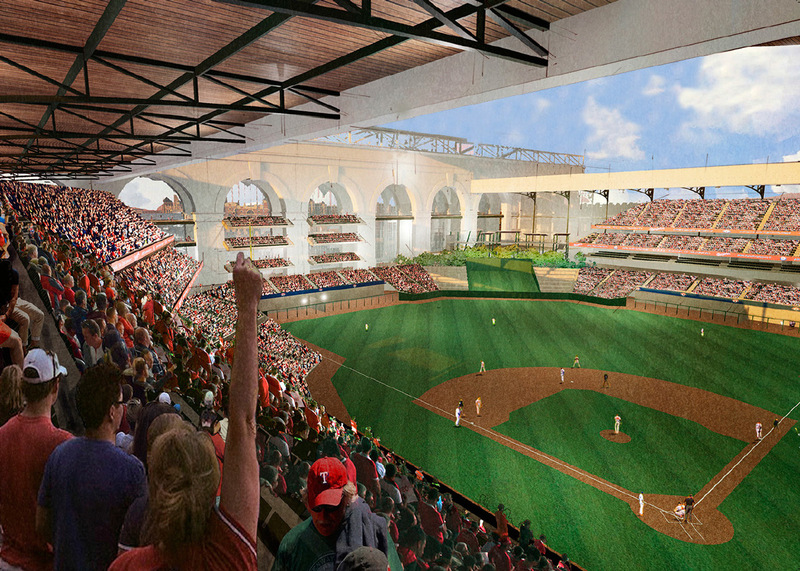 As the design phase wraps up, images and information from a press release reveal that the field will offer a retractable roof for shading and climate control purposes and will be interwoven with the adjacent Texas Live! entertainment district that is currently in development. Costs so far are estimated at $1 billion with the City of Arlington’s contribution limited to $500 million. The Rangers’ current home, Globe Life Park, which is also in Arlington, is owned by the team on a 30-year lease from the city. 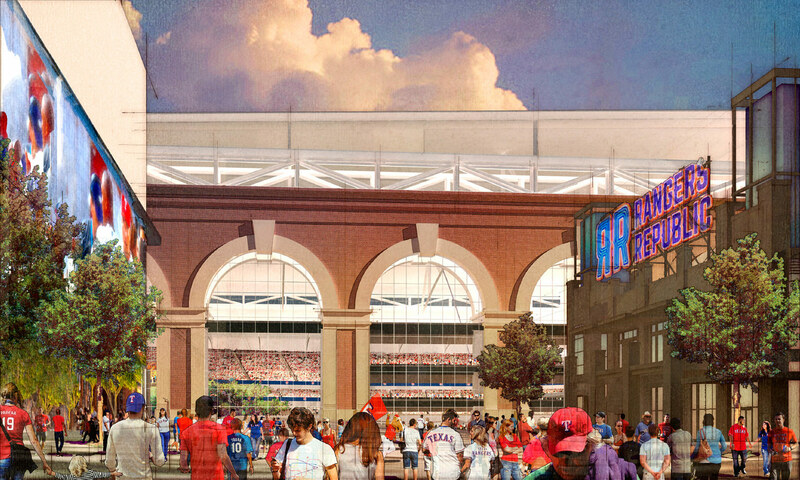 This is due to end in 2024, but as per a new agreement between the Rangers and Arlington, their partnership for the new arena will continue until 2054. 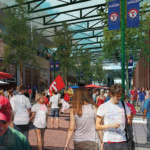 22 years ago, HKS was the architect of record when the Rangers first moved into Globe Park in 1994.